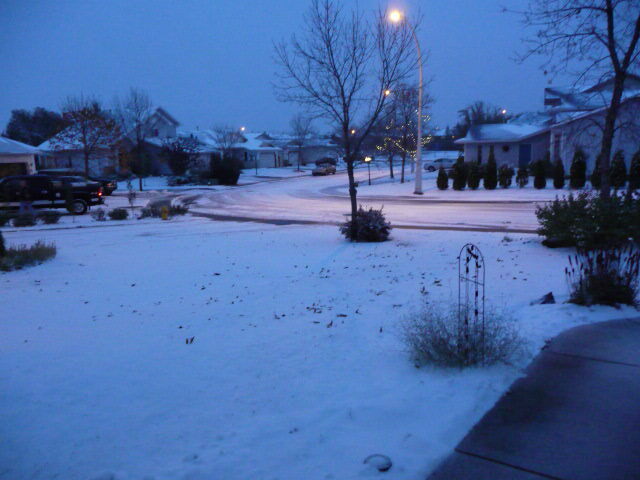 It's snowing here, and it's beginning to look a lot like... WINTER! When I came out, on my way out to meet a friend, it felt like I'd been transported to the old inn in the classic movie White Christmas. Do you remember ... at the end they sing 'I'm Dreaming of a White Christmas' and the big doors swing wide open onto a winter wonderland. That's exactly how it felt when my own garage door slid open. I stood transfixed for a moment, as I gazed on a street that had been transformed into a white fairyland. To top it off, at that very moment, a full choir of sparrows in neighboring spruce trees flooded the air with their chirpy songs. It was as if I'd been transported inside a Currier and Ives Christmas card! What a great way to set the stage for December 1st tomorrow! On that note, I'm off to curl up under a cozy blanket (I hear the wind howling now) and read something from my library pile. I just finished Debbie Macomber's new book "One Simple Act" on the beauty of generosity. Outside my window... blue skies, wind tousled treetops, dried leaves scuttling like beetles across the yard. I am thinking... what it is we actually wish when we wish someone to have a great day? Now that you're wondering, I would want that person to be well in her body, to have no pain in any area, including her heart. I would desire that her relationships be sweet and that rifts or misunderstandings be cleared up quickly. I would wish that her path be smooth and that things would go well in her work and at the grocery store.... that she knows someone somewhere loves her and thinks she's special..... that sort of thing. I am thankful for... experiences every day that remind me that walking in love toward every living creature is really what makes life beautiful. I am wearing... black slim jeans, a black/white stretchy, almost tunic length top, silver earrings with black dangly bobbles. 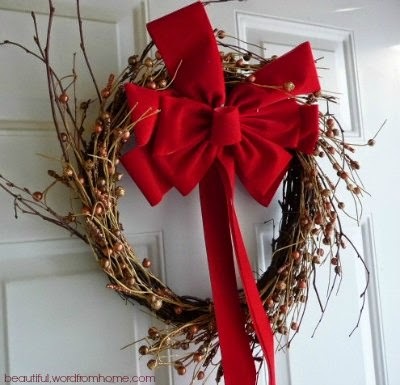 I am going... to start getting my home ready for Christmas this week by setting aside 1 hour every day to clean every corner and put things to right, and then start bringing out the festive stuff in December. I am reading... Healing Your Financial Soul: An Interactive Guide to Restoring Your Relationship with Money by David Hicks. This book takes time to read through as he shares various exercises to help trigger and identify those trouble spots, so we can deal with them. I am rich in extravagant giving and generous hospitality, and I always have more than enough to give to good work. On my mind... Lunch. Although I don't eat hotdogs very often -- usually too salty -- today that's what I feel like enjoying. With mustard, relish, ketchup and, yes, minced onions, too! Pondering these words... Give and it shall be given. I'm beginning to grasp the idea that this may be a universal law that is meant for absolutely every area of life, including our relationships and finances. Whatever I want and hope to enjoy, I must first plant a seed if I hope for a harvest in that area. If I wish friendship, I must offer it to others. If I wish to be treated with kindness, I must ensure I offer kindness to every person I meet. If I wish blessings to come to me, I must first bless others. From the kitchen... Beef Rouladen for supper. This is a German dish that our family often saved for Christmas Eve Dinners when I was growing up. But sometimes it's fun to eat 'any old time' and to enjoy the happy festive memories it triggers. Around the house... not a typical Monday. No laundry needs doing today, which is interesting. One of my favorite things... the Yankee Candle sitting on my desk with the fragrance "Autumn Wreath". I've had the candle for a couple of seasons, and still I'll often catch a whiff of its autumny fragrance. Kind of a mix of spicy pumpkin pie, apple cider, and cinnamon. I love the surprise of how it releases its scent when I'm not expecting it. From my picture journal... something bright and cheerful for my front door as the holiday season draws nearer. Here's wishing you a great day, and all that it means to you! For those of you who are Anne of Green Gables fans, you'll understand the sheer joy of encountering yet another kindred spirit -- that moment when we cry out, ""Aha, she speaks the language of my heart." These individuals who delight us by giving us kaleidoscopic glimpses of their lives, which often includes a peek into their wildly creative pursuits. Which is why I was enchanted when Judy over at Just A Little Something For You posted her delicious way of dressing up gifts of cookies. She's taken the age-old tradition of sharing gifts from our kitchen and made it into something pretty and playful as well as tasty. With the holidays coming up, not to mention all those other spur-of-the-moments we love to celebrate, I thought it was the perfect time to pass along the link to this creative posting. Whatever you're up to, wishing you joy and peace! Outside my window... Blue skies. Sunshine. Leafless tree branches. Cheeky chickadees. I am thinking... About the aha! moment when I recognized a mindset I've nurtured and babied for a long time has been a key to what keeps me from committing to exercise on a more regular basis. I've always felt (notice that it's an emotional response) that exercising was an interruption to my life. Walking was fine, but actually taking an hour or two every other day to go to a class or the gym just seemed way too time consuming, not to mention, bo-rrrrring. But when I finally clued in, I realized that's why I could never stay on track. My little 'guardian' inside my head kept insisting that, "We don't want to do this, it's interferes with our life, what a bore, what a chore, no more!" For more on this great thinking business, check out Thinking For A Change by John C. Maxwell. I am thankful for... electricity and heat as the days grow darker and colder. And for my house and that I don't have to live in a tent or cardboard box. Lord, help us to show compassion and love for those who do. I am wearing... jeans, a brilliant green v-necked tee shirt, and dangling silver earrings. I am going... to clean out my office this week. The clutter bugs flew in when I wasn't looking and left paper piles... again. I really think I should consider keeping more info on my computer, but, alas, I still like the feel of that paper/book in my hand! I am reading... Healing Your Financial Soul by David Hicks. The author shares helpful insights and exercises about finding out what you think and how you feel about your finances, and uncovering those thoughts, beliefs and emotions that keep you from enjoying the financial level you desire for your family. Some very interesting thoughts are surfacing as I read! He says, "If you struggle financially, it's because you were taught, and you agreed to believe, and have made countless decisions to prove, that you're supposed to struggle." On my mind... An old hymn I'd heard so many times growing up as a child, that I learned the words without ever having to memorize it. "Great is Thy Faithfulness... morning by morning new mercies I see, All I have needed thy hand hath provided..."
Noticing that... it gets dark SOOO early now. Makes me think of getting ready for Christmas, things like working on gifts and planning how to make our home inviting and cozy for everyone when they come this year. From the kitchen... Lunch is leftovers today: pan sauteed noodles, mushroom sauce and three meatballs, salad with homemade creamy dressing, a small glass of Clamato juice. (My hubby, who likes things to be split 50/50 will insist on splitting that 3rd meatball -- ha ha). Around the house... Chores like laundry, some cleaning, and a bit of organizing. Sounds tedious, but there is something I love about bring order out of chaos, even if the chaos is a tumble of clothes waiting for the dryer. From my picture journal... 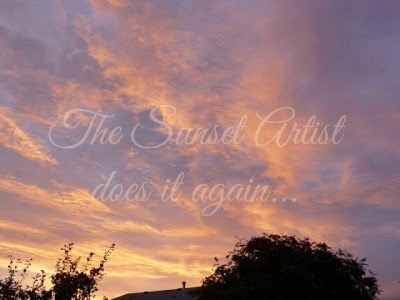 The Sunset Artist's goodnight signature as seen from my backyard one summer evening. On my way home yesterday afternoon from a coffee date with a good friend, suddenly and without warning, I started to get that warm fuzzy feeling we usually identify as 'being in the Christmas spirit'. So, when I got to the library guess which section I headed towards -- I wasn't disappointed to find a lovely display of seasonal magazines and books already waiting for my browsing pleasure. This was an interesting moment for me. I love Christmas, I've always loved thinking and preparing several months in advance for this wonderful time of year. I loved the anticipation of the season. 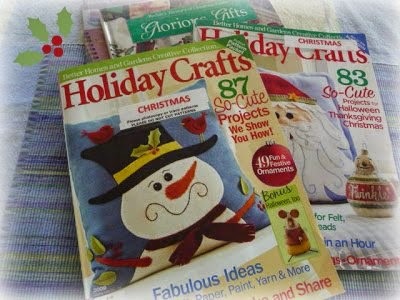 But until I walked into that library yesterday with the specific intent of searching out some Christmas craft magazines, I hadn't actually recognized that for the last six years my Christmas crafting soul had been on 'hiatus' (for various health and family issues too long to describe here). I didn't realize I'd set aside Christmas crafting until I went searching for ideas at the library. Wow, I'm excited now about digging out my own squirreled away copies of old Christmas magazines and begin my former tradition of mulling and searching out those wondrous ideas that will make this particular season sparkle with new joy and hope. I realize now that something new on the inside of me got well. It's a day to celebrate. FOR TODAY... I am linking to The Simple Woman's Daybook. It's a place where you can share those 'tiny tidbits of joy that are inside your day'. Outside my window... What a beautiful Monday morning. Bright with morning sunshine and I'm jJust got back from a walk with my father-in-law who is visiting. Orange Kitten's family must have gone to work really early this morning, because when I stumbled into the kitchen around 6 am to fill our own Miss Kitty's empty food bowl, little Orange Miss was peering in through the window looking for attention! The top of our Mountain Ash tree is laden with bright bunches of red berries, something our local waxwings love. We love it when they swoop in by the hungry dozens to feast on the berries, devouring most of them in surprising short order. I am thinking... how nice it is that I no longer have to fight with crowded freeways every morning and evening. It's a short walk from my kitchen to my little office upstairs where I write monthly newsletters for my clients'. I am thankful for... the opportunity to be in the heart of my home full-time now. It's a dream I had ever since I was a little girl. Sometimes I'm still working out what that looks like in everyday living. I am wearing... jeans and a prettily patterned top in sea greens and blues, with dangle-y silvery earrings. Hair's done, lipstick's on, finished with a light spritz of Mary Kay Lotus and Bamboo fragrance. It makes me feel ready to tackle the day, even if it just being at home all day. Besides, I think hubby deserves to see the better side of me too! I am remembering... Audrey Hepburn's character, Holly Golightly, in the 1960's movie Breakfast at Tiffany's when she says, "Hand me my purse, darling; a girl can't read something like this without her lipstick." It's true, I feel much better prepared for whoever and whatever comes across my path when I've got my lipstick on! I am going... to be setting my face 'like a flint' toward getting my newsletter done this week. I am reading... one of my library books Thinking for a Change by John C. Maxwell. "To do well in life, we must first think well." Reminds me of that old proverb, "As a man thinks in his heart, so is he." On my mind... looking for ways to add new layers of creativity in my life that will not only create depth in my own life, but add hope and encouragement for other people. I'm also asking God to bring peace to the minds of many people who are stressed out by the fear of H1N1 (swine flu). Psalm 91 is a place of peace for my own mind and heart.... He who dwells in the secret place of the Most High shall remain stable and fixed......fearing no evil. Pondering these words... I've always enjoyed the phrase 'Scatter joy' which I understand is attributed to Ralph Waldo Emerson. 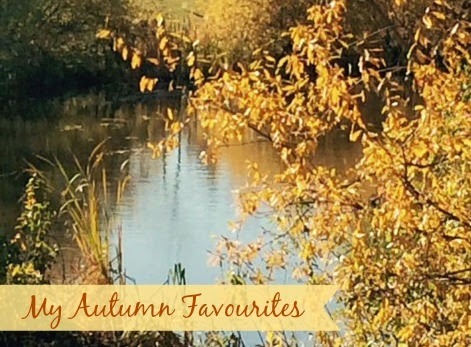 I like to imagine creative ways to scatter joy the same way leaves scatter in the wind during the autumn. Don't you think the world would be a happier place for more people if they could crunch their way through piles of leafy joy? homemade chicken pot pie which is already made and ready to pop into the oven later. Around the house... Although dusting was not on the agenda today, I hunted for my furniture cleaner early this morning when sunbeams lit up a very dusty piano keyboard. I could not leave the grand dame in that sad state all day, so her deep wood grains shine and sparkle now. One of my favorite things... My husband's heart-stopping smile -- I think I fall in love all over again when I see how it lights up his face and makes him look so handsome. I love his laugh too. From my picture file... 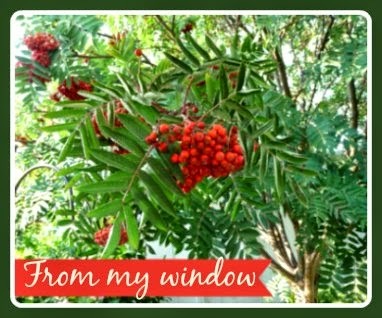 This mountain ash lives in our backyard -- the photo was taken earlier this summer. Wishing you many simple pleasures today.